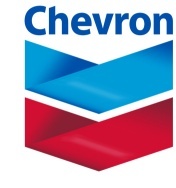 Chevron U.S.A. Inc. (CUSA), a wholly owned subsidiary of Chevron Corporation (NYSE: CVX), today announced that it has signed a Share Purchase Agreement with Petrobras America Inc. (Petrobras) to acquire all the outstanding shares and equity interests of Pasadena Refining System, Inc., which includes the refinery in Texas, and PRSI Trading, LLC for $350 million, excluding working capital. “This expansion of our Gulf Coast refining system enables Chevron to process more domestic light crude, supply a portion of our retail market in Texas and Louisiana with Chevron-produced products, and realize synergies through coordination with our refinery in Pascagoula,” said Pierre Breber, Executive Vice President of Chevron Downstream & Chemicals. Assets include a refinery with a capacity to process approximately 110,000 barrels per day of light crude, direct pipeline connections to increasing industry and equity crude oil production, connections to major product pipelines as well as waterborne access to receive and ship crude oil and refined products. The 466-acre complex is in Pasadena, Texas. It comprises a 323-acre refinery including a tank farm with a storage capacity of 5.1 million barrels of crude oil and refined products, as well as 143 acres of additional land. The acquisition will add to the refining network of CUSA, which includes a refinery in Pascagoula, Miss., two facilities in California, in El Segundo and Richmond, and the Salt Lake refinery in Utah. The acquisition is subject to customary closing conditions, including regulatory approvals.